The Cambridge Analytica Facebook scandal is an opportunity for the market research industry to reset its own narrative about big data, suggests Ryan Howard. Depending on which part of the argument you chose to believe, you either saw blushing senators schooled by a billionaire across a marked age divide, or a feckless geek on the receiving end of the riot act. Senators, with massive flashcards held aloft, paraded a history of mea culpas, goading their witness’s plausible deniability. In a room where the furniture is designed to intimidate and belittle, the chairman and chief executive, wielding his new blue tie, spoke with authenticity before slapping down Senator Ted Cruz’s overreach. Towards the end, an otherwise reclusive Zuckerberg sat blanched and reeling. It was simply great telly. The above exchange with Senator Durbin was sublime. It is a scandal because Facebook was not hacked. Rather, it was a fast and loose play on what may appear to be poorly defined user permissions. Zuckerberg’s early doors voluntary offer of GDPR style user control was no accident. This is a clear precursor – the spirit of the GDPR may one day chime loudly across the globe. On this occasion, the offer could be construed as cynical. With its global data hub in Ireland, Facebook is subject to the GDPR anyway. Nonetheless, horse… bolted. Closer to home, the strength of data commissioner Elizabeth Denham’s voice continues to resonate strongly and reassuringly in its wake. We are filled with confidence having landed firmly on the right side of the argument. Our own MRS and Fair Data accreditations feel like warm safety blankets and while big data has been temporarily humbled, I maintain it has not been irrevocably harmed. From the public’s point of view, one appreciates that there is also a discernible difference between consciously completing a finite questionnaire and having your messages and calls tracked sans permission. The scandal has revealed those among us who bought into the headline quote of ‘The world’s most valuable resource is now data not oil' as having no cosmic clue as to where big data really comes from. It is time to drop the pretence and make a clean break from this now sad and deluded rhetoric. Data does not take on magical qualities from volume or velocity. Market research data is still small. Very small. We do not use clouds full of parallel computing. I work with two servers and a laptop; how about you? While there are indeed a handful of pioneering examples where market research and big data intersect, it is still such a microscopic fraction of our industry, it does not even bear thinking about. Perhaps because we continue to speak about the advent of big data in such generic and vacuous terms, we have not earned our seat at the table. Until we make significant inroads, we have an opportunity to reframe the debate within the market research world, to hit the reset button and reserve our deserved and authentic place in the data food chain. When big data does land, it will now be permissions based, infinitely smaller, of higher quality and focused. It still brings with it what we truly crave – the access to behavioural data generated by the digital economy. Without it, we will continue to rely on memory recall and claimed behaviour. Quite fairly, this has always been our Achilles heel. However, with or without big data, we will remain infinitely more compelling than big data alone. Let us also not overlook the fact that this scandal is about an app masquerading as a personality test, not unlike a survey linked to big data. Granted, we will never see the validation but if half the claims are to be believed, the processing of this data to enable micro targeting was nothing short of extremely powerful. On this occasion, it was unethical and morally reprehensible. The ambition was cool. The execution, appalling and creepy. We need not repeat this mistake nor wait to make our pivot, lest we forget whom the real experts at exploring data are. Success with big data requires the very same analytical skillset in which we are so widely rehearsed. 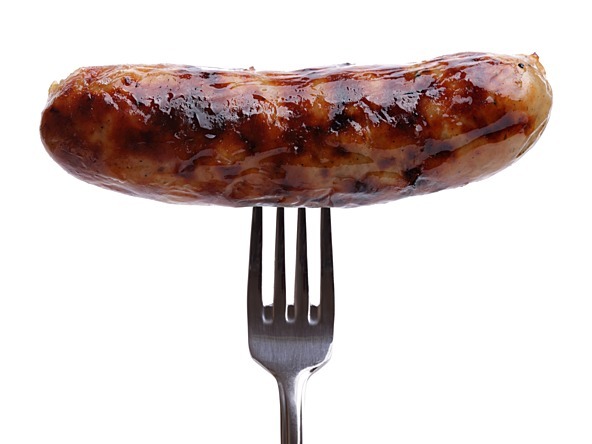 Big data is just the sausage – not the sizzle.